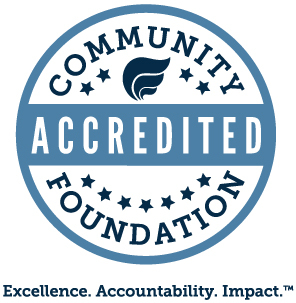 June 7, 2018 -- The Carroll County Community Foundation has awarded 18 scholarships and renewals from 12 funds to Carroll County students with an approximate value of more than $235,680, including the Lilly Endowment Community Scholarship. Alanna Hamilton, daughter of Derrick and Melissa Hamilton, is a Carroll High School graduate. She plans to attend Purdue University to study bio-chemistry. Jessica Burkhart, daughter of Matthew and Beth Ann Burkhart, is a Delphi Community High School graduate. She will attend the University of Southern Indiana to study physical therapy. Emily Hudson, daughter of Micah and Jennifer Hudson, is a Delphi Community High School graduate. She will attend Indiana Wesleyan University and study business. Dacota Shockley, son of Crystal Shockley and James Shockley, is a Delphi Community High School graduate. He will study biology at Indiana Wesleyan University. Briley Blocher, daughter of Brad and Malinda Blocher, is a Carroll High School graduate. She will study radiography at Indiana University Kokomo. Savannah Bordner, daughter of Charles and Wendy Bordner, is a Carroll High School graduate. She will attend Purdue University to study agriculture. Darren Dillon, son of Bill and Angie Dillon, is a Carroll High School graduate. He will attend Marian University and study business management. Receiving renewal scholarships are Baylee Benn, Austin Denny and Jason Wright. Haley Smith is a Delphi Community High School graduate. She will study agriculture at Purdue University. Maci Morris, daughter of Timothy and Linda Morris, is a Pioneer High School graduate. She will attend IUPUI and study pre-physical therapy. Katrina Stitsworth, daughter of Alan and Debbie Stitsworth, is a Frankfort High School graduate. She will study music education at DePauw University. Ben Lucas, son of Lee Ann Lucas and Rodney Lucas, is a Delphi Community High School graduate. He will attend Hanover College to study kinesiology. John Beale, son of Michael and Jonella Beale, is a Delphi Community High School graduate. He will study agriculture at Purdue University. Megan Herr, daughter of Steven and Deanna Herr, is a Carroll High School graduate. She will attend Davenport University to study nursing. Gracie Meyer, daughter of Timothy and Patty Meyer, is a Carroll High School graduate. She plans to attend Butler University and study business. Kristina Powlen, daughter of Elyce Powlen and Bradley Powlen, is a Delphi Community High School graduate. She will attend IUPUI to study health. Grace Filbrun, daughter of Sally Hernandez and Jared Filbrun, is a Carroll High School student. Grace plans to attend DePauw University to study business. The Carroll County Community Foundation, established in 1997, is a not-for-profit charitable organization governed by a volunteer board of local citizens. The purpose of the Foundation is to serve the interests of donors, to make grants and to act as a catalyst around issues of community importance in Carroll County. For details about making a charitable gift or establishing a permanent endowment fund to benefit a charitable organization or interest in Carroll County, please contact the Carroll County Community Foundation at (800) 964-0508 or visit the Web site at www.cfcarroll.org.